Scala is a village perched on the hill opposite Ravello. It is not just ANY village - here, the nobles of the Maritime Republic of Amalfi had their palaces. And there are even more secres to Scala, we will come back to Scala again. 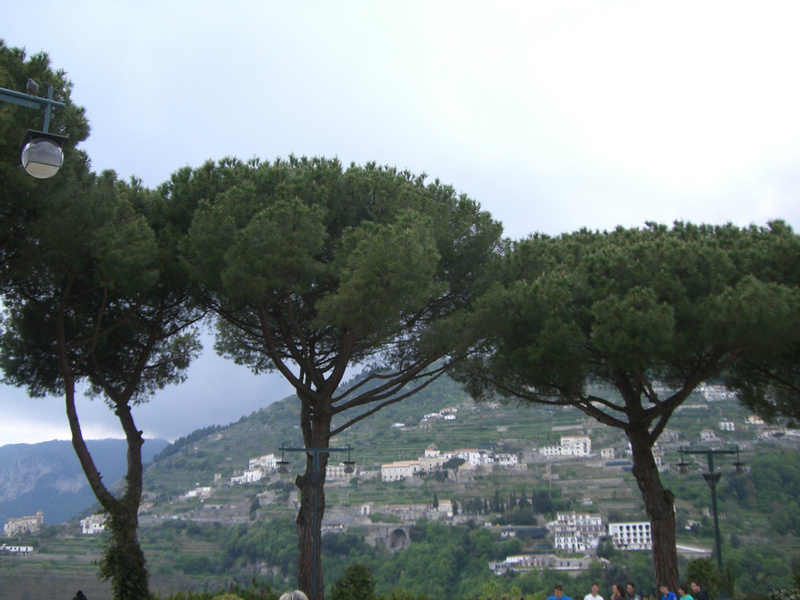 Here is the view from a Ravello terrace across to Scala.